Many small business owners I meet wear their go-it-alone attitude as a badge of pride. Yet, an equal number acknowledge the mounting weight of responsibility and uncertainty bearing down on seemingly their shoulders alone. Entrepreneurship and small business ownership both dole out their fair share of pressures and anxiety. We're often stuck in this no man's land where qualified advice is too expensive, but affordable advice tells us what we already know. When so much of entrepreneurship and small business ownership requires doing things for yourself, I take as many opportunities as possible to learn from other people's mistakes and experiences. This is me, and us, paying it forward. In my two and half years of local entrepreneurship, we've worked with various banks and financial institutions throughout Kansas City. We’ve navigated many financial decisions with little guidance and few options. And without first-hand experience under your belt, it’s difficult to know whether you’re talking to the right people who can help you realize your goals. Today, every bank should offer intuitive online banking, remote deposits, minimal fees, and plenty of free services. Luckily, most do. Most banks advertise variations of the same services articulated in different ways; the same information rearranged in different orders. Most will tell you that they're "different" and that they're "not like other banks." The difference between a good bank and a great bank isn't any of the things mentioned above. It's finding a banker who understands your business and your needs and a banker who has the ability to meet them. Too often, we’ve found ourselves in situations where our contact doesn't have the ability to influence the lending decisions or is too segmented or restricted by their position to truly address our needs. We build great relationships with our banker, but ultimately they may not be the ones that can get the deal done. 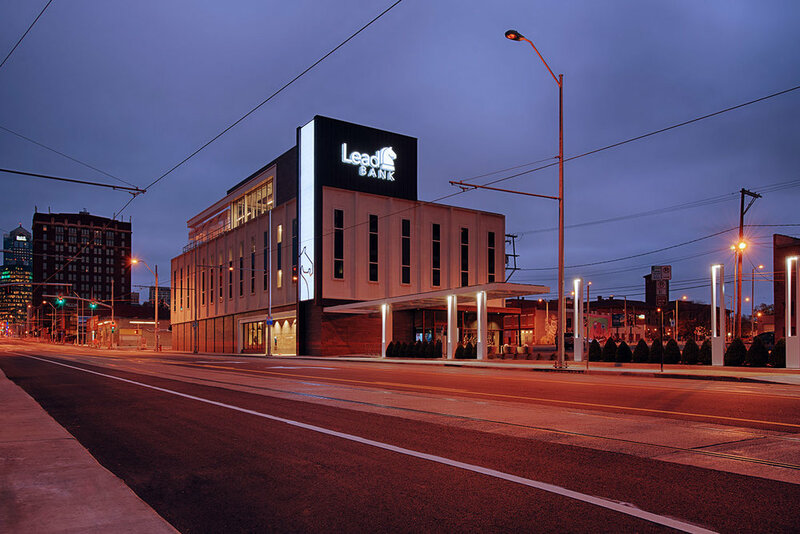 Earlier this year, we started working with Lead Bank in the Crossroads. We met with Rob Morgan, Senior Vice President specializing in commercial and residential lending. In that short amount of time, Rob's lent our businesses money, he's re-financed our houses, he's refinanced our family's houses, he's promoted our business, and we've sent him numerous referrals. Let me briefly explain why. Rob has never promised us the moon, and he's also not shy about keeping us grounded. But far and away, we've never met a banker as motivated as Rob in helping us achieve our goals. Instead of telling us all the difficulties about what we're trying to achieve, the roadblocks, the hurdles, Rob takes an active problem-solving approach to working with us to find solutions. That's what makes a great bank: people like Rob who get creative and advocate on our behalf. As an example of how unique Lead Bank truly is - besides their open floor plan without offices, besides the ability to schedule meetings in any of their conference rooms, and besides their continual promotions of local businesses - Lead Bank completely embraced the idea of underwriting content for Made in KC Explore. And thus, for the month of November, when you see Lead Bank's logo at the bottom of our page, know that Lead Bank has been a true partner to Made in KC and is a true advocate for our mission of supporting makers and artists throughout Kansas City. If you haven't revisited your banking relationship recently, please consider getting in touch with Lead Bank.